As part of escalating crackdown on dissent and criticism which landed almost 50,000 people in jail in the last six months alone, Turkish government has aggressively started to persecute women who already bear the brunt of the unprecedented witch-hunt campaign by the country’s Islamist rulers. A woman got detained right after the delivery of her baby in hospital while another woman was jailed as she was visiting imprisoned husband, leaving her kids stranded in a parking lot in a car under the care of elder brother. A woman who lost sanity under torture in police detention was thrown back to prison despite diagnosis while a woman was jailed because her husband, a journalist, remained at large. The government jailed wives of businessman who are seen supporting the opposition to Turkey’s autocratic President Recep Tayyip Erdoğan as the government seized all their business and personal assets. Everyday dozens of women get arrested in Turkey on false charges of terror and coup plotting in a systematic persecution campaign launched by the country’s autocratic President Erdoğan who declared a “merciless’ crack down on his critics and opponents. Among those who face harsh treatment in detentions and prisons include mostly women of Gülen movement and Kurdish political movement. Alevis and leftist groups also get their fair share of oppression under the current repressive regime. The persecution of women who are perceived to be critics of the government has picked up a pace after the failed coup attempt on July 15, 2016 that appears to be staged to set up Erdoğan’s critics for a mass persecution. By targeting especially women, Erdoğan and his partners in the government hopes to break the will of government critics while undermining crucial role of women in supporting the community members, taking care of children who are separated from their jailed fathers. 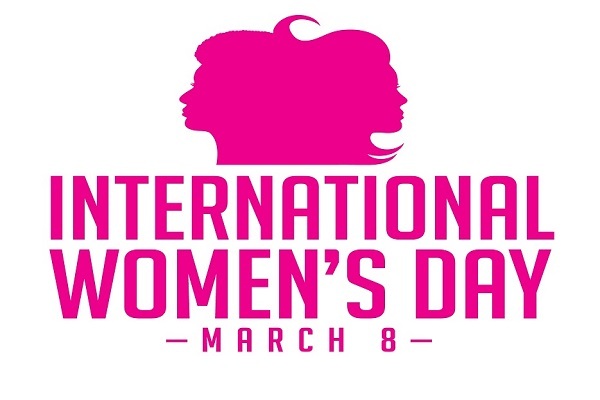 Erdoğan knows the value of women grassroots networks because he ascended to the power in Turkey partly because of mobilization of conservative and religious women base in Turkey. By exerting pressure on networks sustained in great deal by women in various opposition groups in Turkey, Islamist rulers hope to insure their survival. Since women play essential role both as wives and mothers in keeping the family and on a greater scale the community together, Erdoğan has started directly attacking women in Turkey. A woman in a red dress, Ceyda Sungur, became an iconic figure when her picture appeared as police shown spraying pepper gas directly at peaceful protesters at the outset of protests. The early signs for the crackdown was seen in the mass anti-government protests in the summer of 2013 during which diverse opposition groups including Alevis took part in raising their grievances against Erdoğan government. 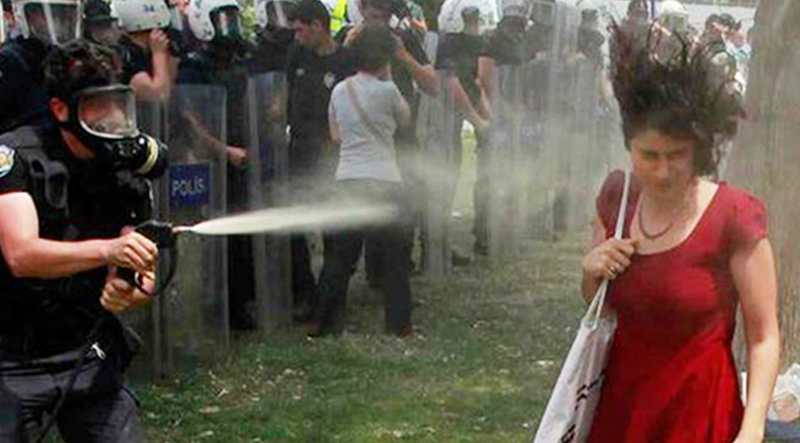 A woman in a red dress, Ceyda Sungur, became an iconic figure when her picture appeared as police shown spraying pepper spray directly at peaceful protesters at the outset of protests. The protests launched when group of people attempted to stop cutting trees in a park to pave a way for building a shopping mall by local government. Berkin Elvan, a 14-year-old teenager, was among some dozen people who got killed as a result of a brutal police crackdown personally ordered by then-Prime Minister and now President Erdoğan. Adding insult to the injury, Turkish President targeted Berkin Elvan’s grieving mother in rallies, called the boy as terrorist, and worked the crowds to get them to boo Berkin’s mother, who was already devastated by her terrible loss. By attacking vulnerable women among Alevis with, Erdoğan had tried to crush the spirit of resistance. When critical and independent journalists have become the target of the government after the corruption investigations that were made public in Dec. 2013 and that implicated Erdoğan and his inner circle, the government’s clampdown has engulfed prominent journalists and the nation’s largest media outlet Zaman. The arrests of journalists picked up a pace by dozens in the aftermath of the coup attempt on July 15. Erdoğan again targeted wives and mothers to create a chill factor for media professionals, hoping to break their courage and determination to speak up. In one case, police came to arrest journalist Bülent Korucu, an editor-in-chief of critical national daily Yarına Bakış but instead arrested his wife Hacer on July 30, 2016, just two weeks after the failed coup. Police message was that she would be kept as hostage until her husband surrenders himself. Hacer, a mother of five and has nothing to do with a journalism other than being an avid reader of the daily her husband managed, was formally arrested on August 9, 2016. She has been in jail without a trial and conviction since then. Police went Korucus’ home several times afterwards, threatening even their kids with a jail time as well. The family could not even find a lawyer who is willing to take up Hacer’s case and file simple motions to exhaust domestic remedies so that she can appeal to the European Court of Human Rights (ECtHR) for rights violations. Among ludicrous charges under anti-terrorism laws include evidence of Hacer’s subscriptions to critical daily. Since no formal indictment has been filed in seven months into her case, no trial date set for a hearing either. Hacer’s case was also covered in 2016 Country Reports on Human Rights Practices — the Human Rights Reports — released by the US State Department on Friday. The Turkish government has also banned the wife of Can Dündar, former Editor-in-Chief of the Cumhuriyet daily, from travelling abroad after seizing her passport at an İstanbul airport on Sept.3, 2016. Dilek Dündar could not join her husband who was imprisoned for months following his reporting on Turkey’s illegal shipment of arms to radical groups in Syria, left Turkey shortly after his release from prison. Dilek’s only crime, if it is any, is to be married to a critical journalist and Turkish government is punishing family members to muzzle journalists who may have to live in self-exile. 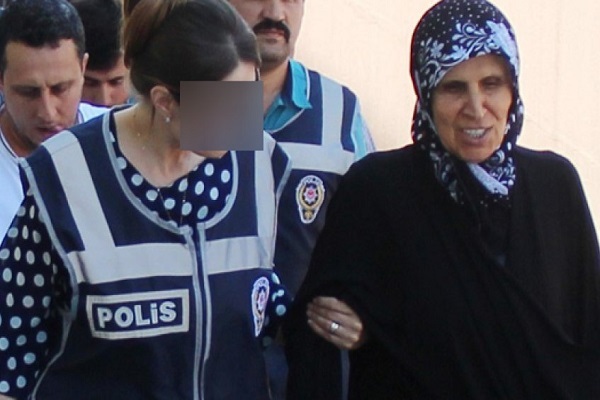 Aliye Boydak, the wife of Şükrü Boydak, was arrested on July 28 as part of crackdown on prominent industrialists in central province Kayseri. The government also arrested wives of prominent businesspeople who were accused of trumped-up terror charges in addition to seizing their whole assets. Aliye Boydak, the wife of Şükrü Boydak, was arrested on July 28 as part of crackdown on prominent industrialists in central province Kayseri. Boydaks’ family members has been persecuted for some time in a relentless witch-hunt campaign by Erdoğan against people believed to be linked to the Gülen movement. Boydak Holding is active in a number of sectors, including energy, furniture and banking with 38 subsidiary companies. It has an annual turnover of more than TL 6 billion ($2 billion) and employs over 13,000 people. The government seized all companies belonged to the family without even bothering to wait for a conviction on false charges. Another woman, Betül Özbey Bayındır, a wife of leading businessman Faruk Bayındır, was also jailed on Oct.11, 2016 on similar charges brought forward by the government of Turkey. An arrest warrant issued for Faruk Bayındır as the government seized AKFA Holding and its 44 subsidiaries. Bayındır was the owner of Tarkim Aviation. When the husband remains at large, Turkish government jailed his wife instead. Fatih Aktaş, chairman of AKFA Holding, was arrested along with his wife Yeliz on Aug.16, 2016 again on similar charges of alleged link to Gülen movement. AKFA Holding is one of the largest conglomerates in Turkey. The pattern of arresting women along with their husbands were seen in other professions as well. The mayor of Bucak district in Turkey’s Burdur province, Süleyman Mutlu, was arrested with his wife Mine on Oct.25, 2016. The chief doctor at Atatürk public hospital in northern province Sinop, Ercan Yarar, and his wife E.Y. were detained on Feb.17, 2017. Ali Türk, district governor at the town of Darende in southeastern province Malatya, was arrested on Feb.21, 2017. His wife was also detained on Feb.16, 2017. Kadir Güntepe, the former governor of the Beytüşşebap district of southeastern Şırnak province, was arrested on Feb.1, 2017. He and his wife were both detained on Jan.14. His wife was released on Jan.31. Although the arrest of known figures was largely covered by the media, there has been so many cases that went unnoticed and not reported at all. For example, a wife of a man identified only with initials B.K. who has been jailed for seven months despite suffering from Chronic Obstructive Pulmonary Disease (COPD) in Turkey’s Kütahya province was also detained on March 3, 2017 along with two children. Another intimidation tactic employed by Turkish government to muzzle critical voices in Turkey is to detain relatives, mostly wives, while they are visiting loved ones who were jailed by the regime. The fact that the reports on such practices were came across the country and around the same time suggests this was planned in advance. If there is an outstanding arrest warrant for a suspect, the usual practice is for the police to show up residential or business address of the suspect. Instead, waiting for them to come to prison to visit their relatives and detain them on the spot aims to frustrate critics further, force their already jailed relatives into false confessions in line with the government narrative. Observers believe the government lacked any evidence to file the indictment on most suspects placed in pre-trial detentions and hoped that this practice would generate sufficient evidence needed for the cases to not fall apart in trial phases. By threatening wives and children, the government is trying to force men to accept false charges. Meryem Yazırlı, a retired teacher, went to a prison in Ereğli district to visit her jailed husband Ali Yazırlı, who is also a teacher, on Feb.14, 2017. She was arrested during the visit and put behind bars. A woman identified with initials A.Y. was also detained on Jan.24, 2017 during a visit to her husband in the jail in northeastern province Kars. In Dinar district of western province Afyonkarahisar, the government adopted a wholesale approach, issuing a sweeping detention order for wives of 21 jailed men on Feb.17, 2017. Of these women, ten has babies under a year old and two are over 70. On Jan. 30, Fadime Günay, who gave birth to a baby boy late on Jan. 29, was taken into custody. Filiz Y., a 30-year-old woman who gave birth at Mersin City Hospital on Feb.5, 2017 has been detained over alleged links to the Gülen movement. Late on Sunday night, a group of police officers arrived at the hospital and demanded Filiz Y.’s discharge as soon as she delivered her baby. The video footage that leaked to social media showed the moment plainclothes policemen detain Filiz Y. and take her to the police station for interrogation. On Jan. 30, Fadime Günay, who gave birth to a baby boy late on Jan. 29, was taken into custody. Police waited outside Antalya’s Alanya Başkent Hospital for hours in order to detain Günay, whose husband was recently taken into custody over alleged links to the Gülen movement. 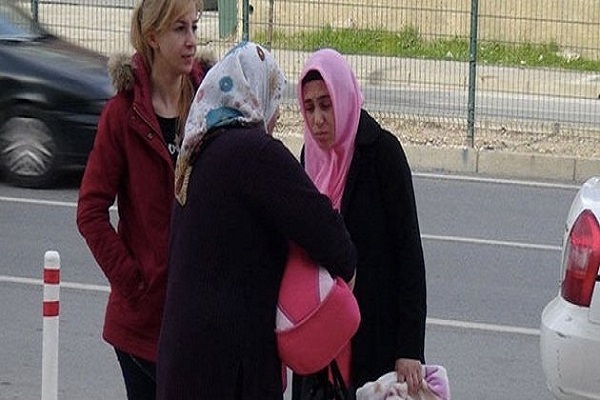 After her interrogation at a police station, Günay was remanded to court with her baby, who was taken by relatives when she entered the courtroom. The court ordered Günay to spend one more day in the hospital. In a similar case, Gül T., a woman who went through cesarean section for delivery, was detained on Feb.8, 2017 as police waited in front of the delivery room. Tuğba Y. and her husband K. Y. were detained by police in early January and were reportedly interrogated for 24 days at the Tekirdağ Police Station over their alleged links to the Gülen movement. Tuğba Y. and her husband K. Y. were detained by police in early January and were reportedly interrogated for 24 days at Tekirdağ Police Station over their alleged links to the Gülen movement, which the Turkish government accuses of masterminding a coup attempt on July 15, 2016. The ill-treatment, violence and torture that Tuğba Y. experienced during the interrogation allegedly caused her to lose her sanity and she ended up in the Bakırköy Psychiatric Hospital. Although the doctors’ reports revealed that the victim was subjected to heavy torture for days and therefore her mental health was in critical condition, a Tekirdağ court ruled for the arrest of Tuğba Y., and sent her to a Tekirdağ Prison, where she has been incarcerated ever since. The victim has a 14-year-old son and two daughters aged 10 and 11. One of the daughters is reportedly a leukemia patient and in need of constant nursing. Even innocent mothers, who care kids with down syndrome, detained over alleged links to Gülen movement during post-coup witch hunt. Ayşe Sena, a two-year old baby girl with a Down Syndrome, was separated from his father, T.B., when police came to detain him on Oct.7, 2016 on trumped charges. He was formally arrested later and transferred to a jail with no indictment and conviction rendered against him. No trial date has been set for his case either. Baby Sena, diagnosed with heart problems and difficulties for her motor functions, was left to the care of her loving mother R.B. 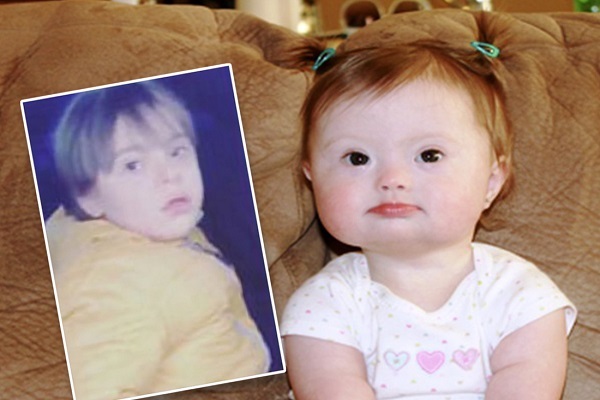 In its report issued April 11, 2016 by İstanbul-based Avcılar Hospital, doctors concluded that Baby Sena needed the support and the utmost care of her mother to live because she suffers from pulmonary heart troubles that are common in kids with Down Syndrome. Another report by İstanbul Cerrahpaşa Medical School on June 8, 2016, a team of doctors also concluded that Baby Sena has issues with body motor function and mental development. Unfortunately, the saga of Baby Sena turned from bad to worse when police came to detain her mother, too, on Nov.23, 2016. She was kept in detention for 20 days without a charge. At the end of long detention, she was formally arrested by the investigating judge who disregarded hospitals’ reports about the need for caring for Baby Sena. Separated from both her father and mother, Baby Sena’s conditions deteriorated rapidly. She was rushed to the emergency on Jan.23, 2017 and placed in intensive care unit (ICU) at Bağcılar Medilife Hospital. She suffered from serious health troubles including heart, lung and kidney failures. Doctors were able to stabilize her but she had spent 20 days in ICU. Now she is out of the ICU, but her treatment is still underway at the hospital without her parent’s presence. In another case, a mother of five that included a boy with a Down Syndrome was detained while she was visiting her husband who was jailed on charges of alleged links to the Gülen movement. When she got detained on the spot during the prison visit, five kids including the boy with a Down Syndrome were left stranded in a car in the parking lot of Sincan Prison in Ankara. The video showing five children left alone in tears in front of the prison after their mother was detained went viral in social media, prompting outcry. “Leaving children alone in such a situation is against the Convention on the Rights of the Child and all related laws. We will follow this issue,” said Mahmut Tanal, a deputy from the Republican People’s Party (CHP) and a member of the Human Rights Commission in the Turkish Parliament. In the video a child opens the door of a car in the prison parking lot, showing his brothers crying, and says in tears, “We are five brothers, left alone. We have a handicapped brother. I commend those people to God’s punishment.” The boy with a Down Syndrome, sitting in the backseat of the car, appears to be scared. He looks to be at the age of five or six. The mother, identified with her first name Nagehan, was later transferred to another prison in Tokat, which is hundreds of miles away from her children in Ankara. A fund-raising campaign was launched in the US to help the family and she was later released on TL 50,000 ($14,000) bail. 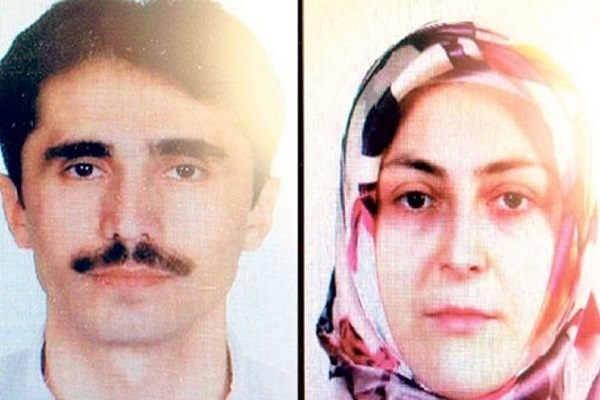 In both cases, parents were accused of false charges of terror because of their alleged links to the Gülen movement which is inspired by the US-based Turkish Muslim intellectual Fethullah Gülen who has been advocating science education, interfaith and intercultural dialogue and community contribution. Gülen has been a vocal critic of Turkish government and autocratic President Erdoğan on massive corruption in the government as well as Turkey’s aiding and abetting of radical groups in Syria. Erdoğan launched an unprecedented persecution against Gülen and his followers in December 2013 right after major corruption probe that incriminated Erdoğan’s family members. Turkish President vowed to show no mercy towards followers of Gülen and orchestrated the arrest of over 46,000 people in the last six months. The ruling Islamist leaders labelled the movement as ‘FETÖ’, a terrorist organization, although Gülen, 75-year old cleric, and his followers have never advocated violence but rather remained staunchly opposed to any violence, radicalism and terror in the name of religion.